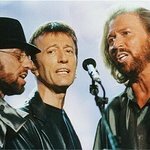 Bee Gees founder Robin Gibb has joined a host of celebrities to record a song to benefit this year’s Comic Relief Red Nose Day. The singer appears on a new version of Islands In The Stream alongside stars such as Tom Jones, Rob Brydon and Gavin and Stacey stars Ruth Jones and Joanne Page, to be released March 13 – the date of this year’s Red Nose Day. Brydon was one of the many stars to attend the launch of this year’s appeal in London yesterday, and urged the public to make the 11th annual Red Nose Day the best one ever despite the recession. Comic Relief uses comedy to help raise awareness and funds for those in need and are especially committed to helping end poverty and social injustice in the UK and around the world. Red Nose Day is their major annual fundraising appeal. 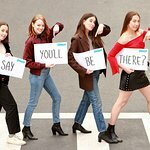 Girl group The Saturdays have also joined the appeal and have recorded a version of Depeche Mode’s Just Can’t Get Enough for the charity, to be released on March 3. More information about the appeal can be found here.